As part of their Por tu bien Tour, Matisse is coming to Peru for the first time giving a concert at Parque de la Exposicion in Lima. 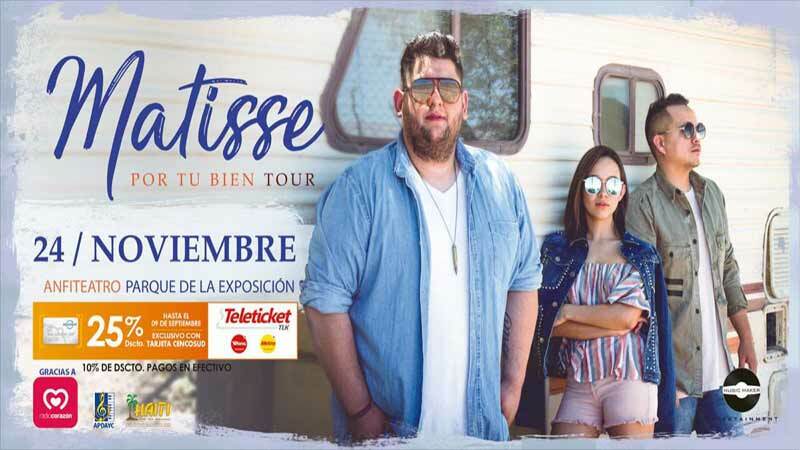 Matisse is a young trio from Mexico that already is highly popular there for the romantic style and vocal harmonies of their songs. Pablo Preciado, Román Torres and Melissa Robles songs speak especially to the younger crowd. Their so far most successful hits include "Acuérdate de mí", "La misma luna", "Si fuera fácil", "Más que amigos" and "Cuando te encontré".